What can I say – you literally canNOT take a bad picture in this ridiculously quaint city. There was MUCH to do here and we had the least amount of time of the 3 countries we visited. So once again we made some hard choices and zeroed in on the things we love most – eating, shopping and meandering. Our hotel was – again, thanks to our wonderful travel agent – perfectly situated to make walking to all of our destinations totally doable. 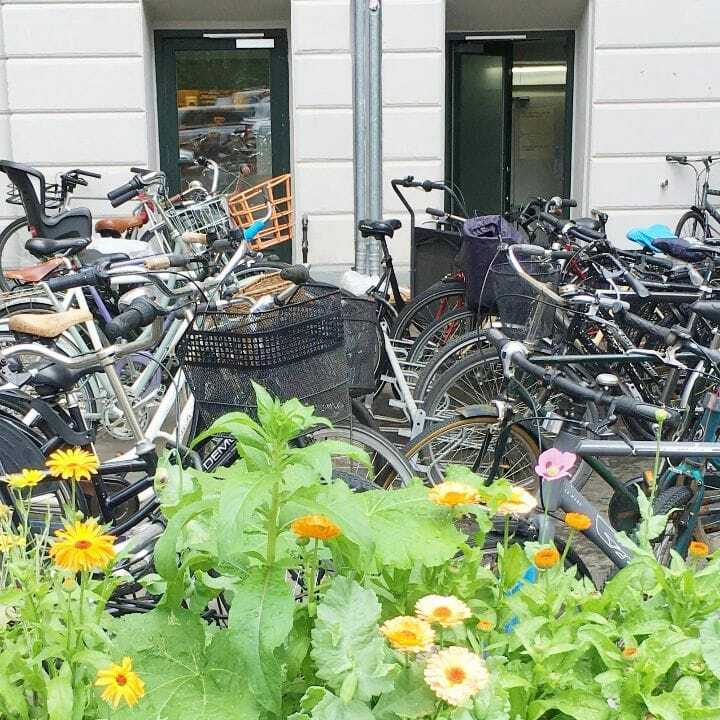 We were right around the corner from Stroget – one of Europe’s longest pedestrian streets, and filled on both sides with shopping that ranges from budget-friendly to stratospheric. 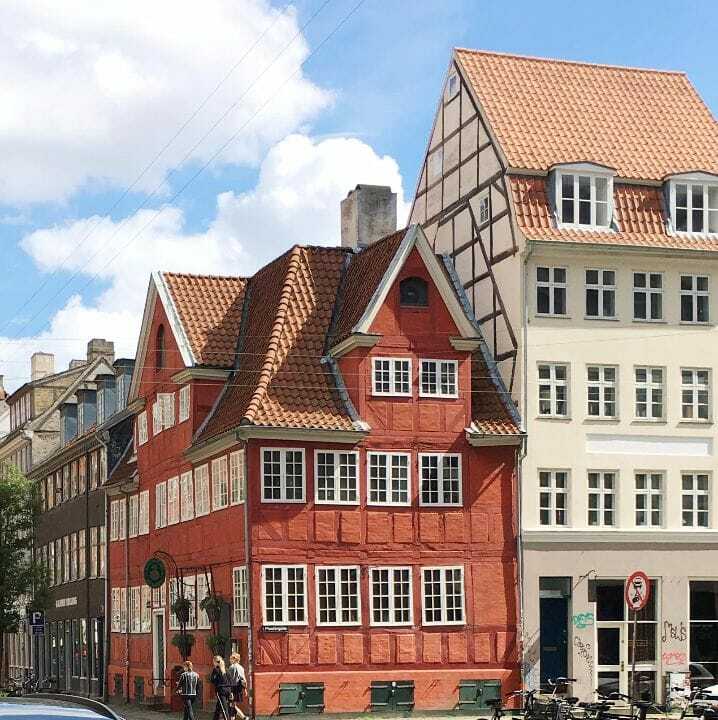 We spent the half-day we had upon arrival from Stockholm to just wander up and down, get our bearings and have a “snack” at Conditori la Glace – open since 1870 and the oldest confectionary in Denmark. We had the “Sportskage” – a cake created by the bakery in 1890 and named for a play called “Sports Men” (hence the name). The cake consists of a macaroon base, topped by praline-studded whipped cream, and covered with caramelized cream puffs – and more whipped cream. Clearly nothing “sporty” about it (other than your need to run to the nearest gym after eating a slice). We also wandered in and out of Stroget’s many many beautiful side streets. 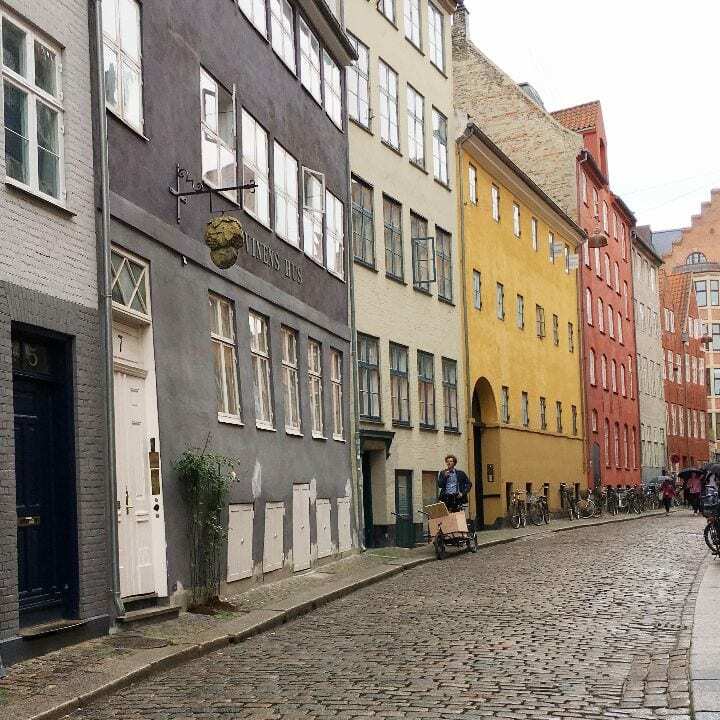 This is a great article on some of the more especially picturesque streets in Copenhagen. Magstraede is right off Stroget, as is Grabrodretorv – a charming square. 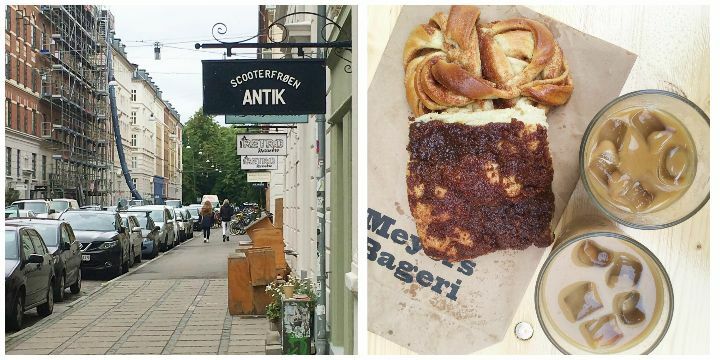 We headed straight out after breakfast to what turned out to be our very favorite street – Jaegersborggade, in the super-cool neighborhood of Norrebro. 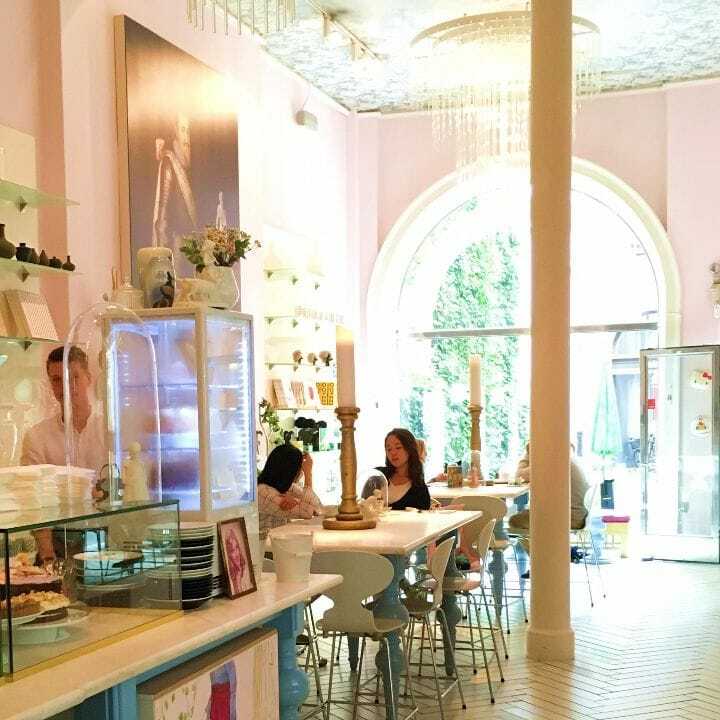 You can basically spend the entire morning there – eating, shopping and eating again. 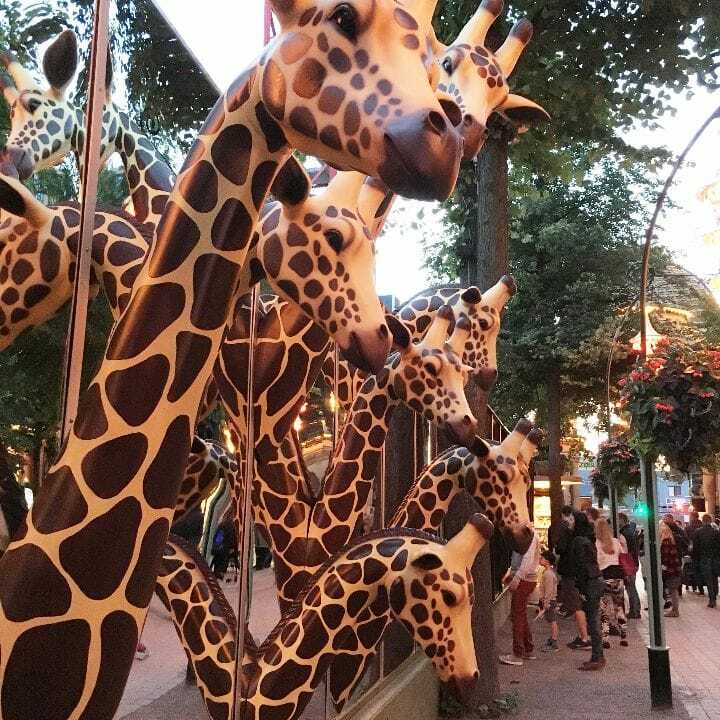 You can also take care of everyone on your gift list, as this street has the best selection of unique, beautiful, delicious, handcrafted everything – art galleries, produce shops, vintage clothes, ceramics and jewelry, as well as wine bars, coffee shops and restaurants. We started with some pastries from Meyers Bageri (an organic bakery run by one of the founders of Noma – one of the top-rated restaurants in the world), which we brought over to the tables outside The Coffee Collective – a micro roastery where we were served the best iced lattes I’ve ever had (I am still kicking myself for not bringing home a bag or two of beans). 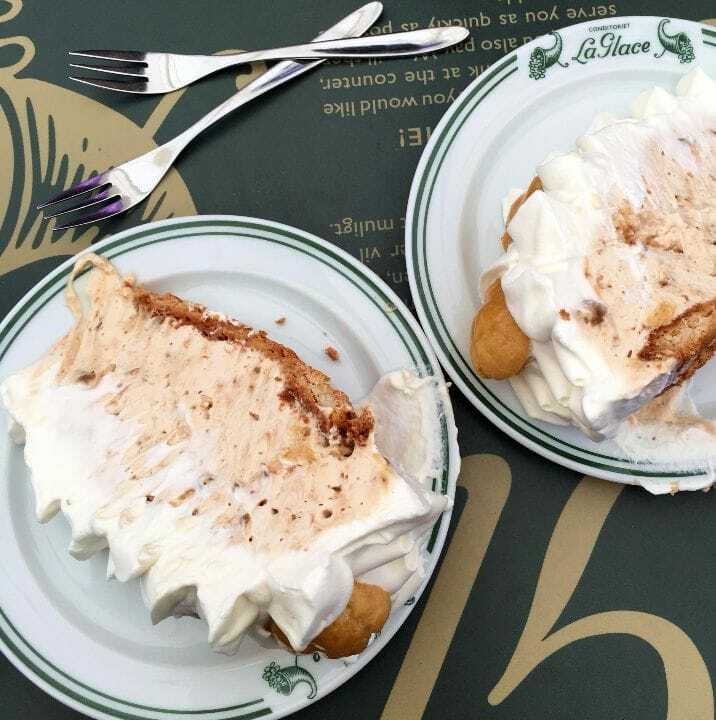 We sat in a cinnamon-and-butter induced coma while waiting for the shops to open up, and then took the rest of the morning to explore each one. Ro Chokolade turns out the most beautiful, simple handmade chocolates. Gagron sells well-priced home goods, gift items and accessories that are environmentally responsible (think bamboo, wood and organic cotton). Karamelleriet produces quality, handmade caramels. At Tricotage you’ll find Danish-inspired (read: modern, simple, neutral) women’s clothing and accessories. 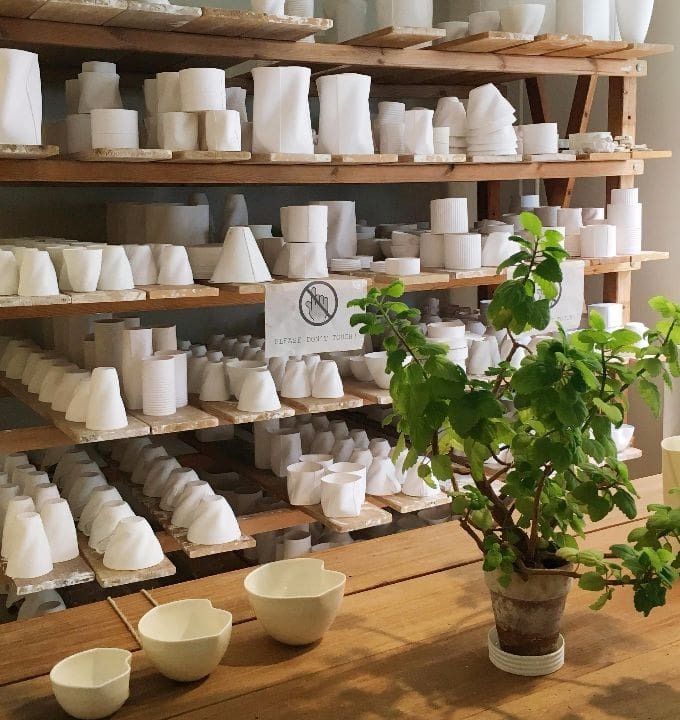 My favorite store by far was Keramiker Inge Vincents. Inge Vincents creates the most lovely porcelain bowls and vases – so thin as to be translucent, she calls her work “thinware”. A perfect stop for a special gift. 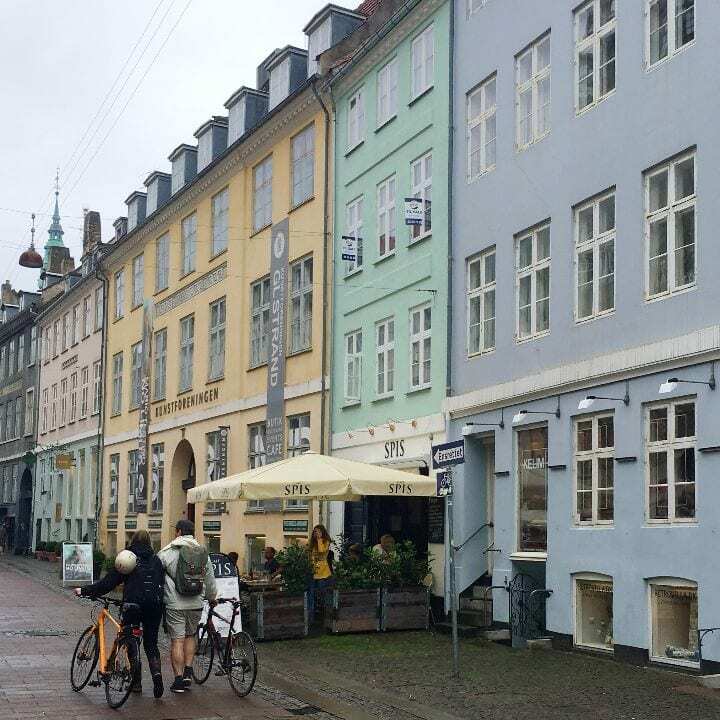 And I was thrilled to find one of Copenhagen’s “top 10” ice cream shops on the street as well. Istid (“Ice Age”) serves only 4 flavors that change monthly. 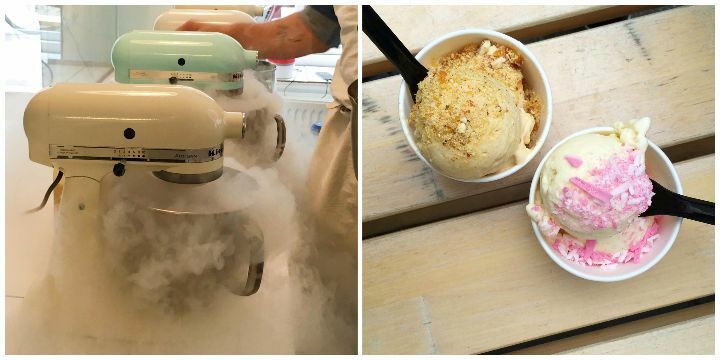 When you pick your flavor (which starts out as a liquid base), it is frozen “to order” – using liquid nitrogen – and served immediately. The result is perfectly smooth, fresh and delicious ice cream that falls beautifully between soft and hard serve. There are a few “suggested” toppings to pair with each flavor. 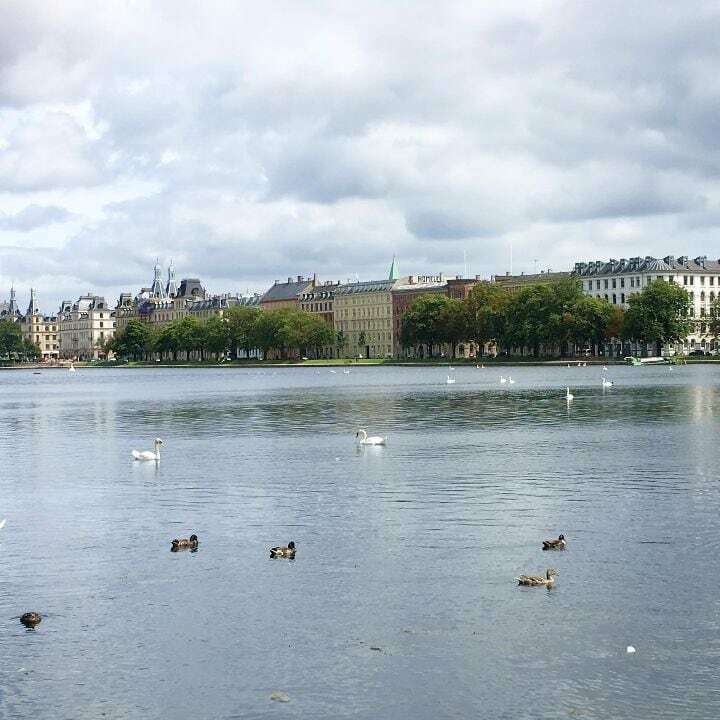 The afternoon was spent with our tour guide, who took us around some of Copenhagen’s more famous sights. 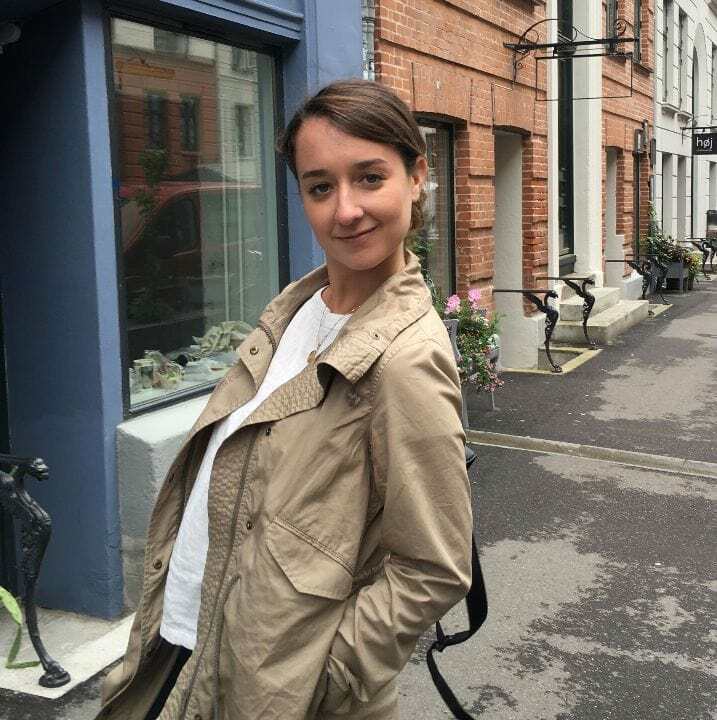 As with our Oslo and Stockholm guides, Mariella provided truly fascinating stories and history to accompany every stop we made. 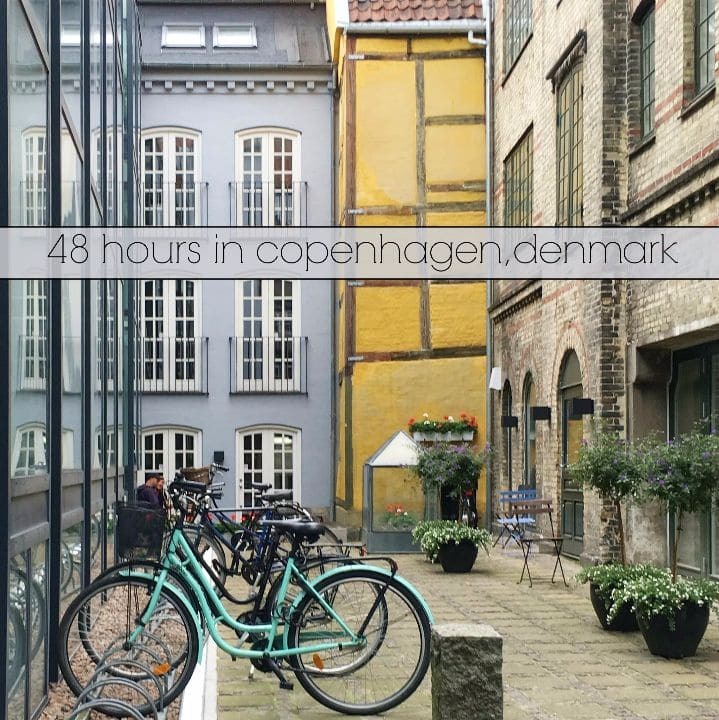 We talked about Danish design and culture, and in just a few hours got such a great overview of the city. 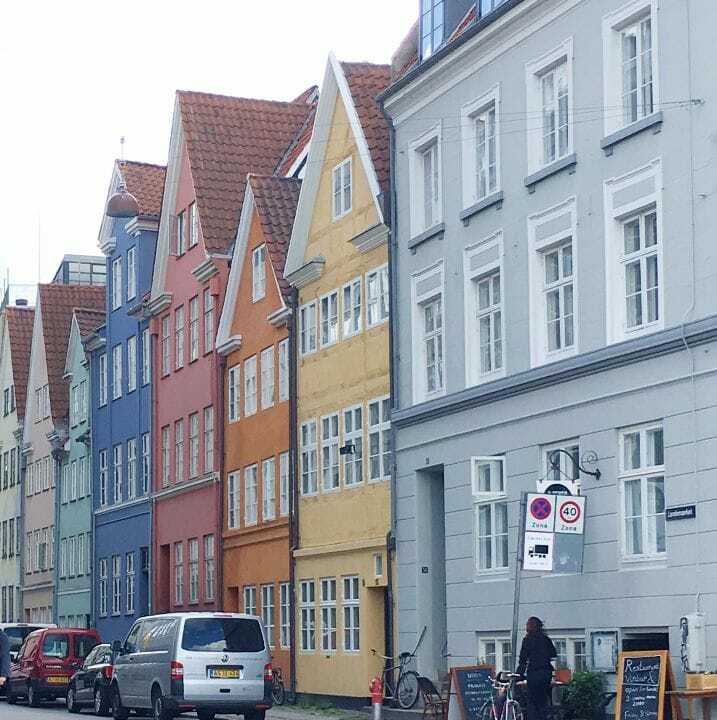 Highlights were the Torvehallerne food hall and of course, Nyhavn. 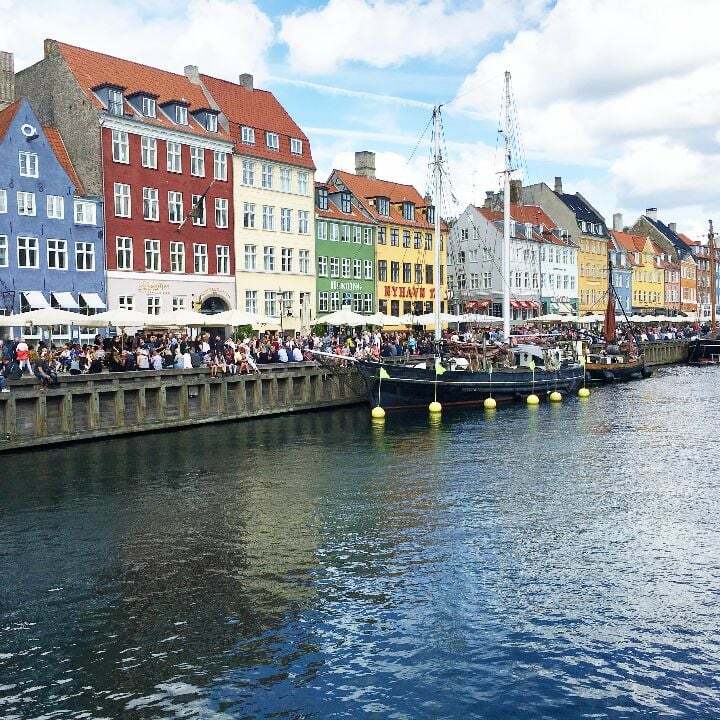 Originally a commercial port dating back to the 1600’s, the waterfront – which still contains the beautifully preserved homes that line it – Nyhavn is now a major tourist destination for music, dining and people watching. It’s as pretty as a picture. 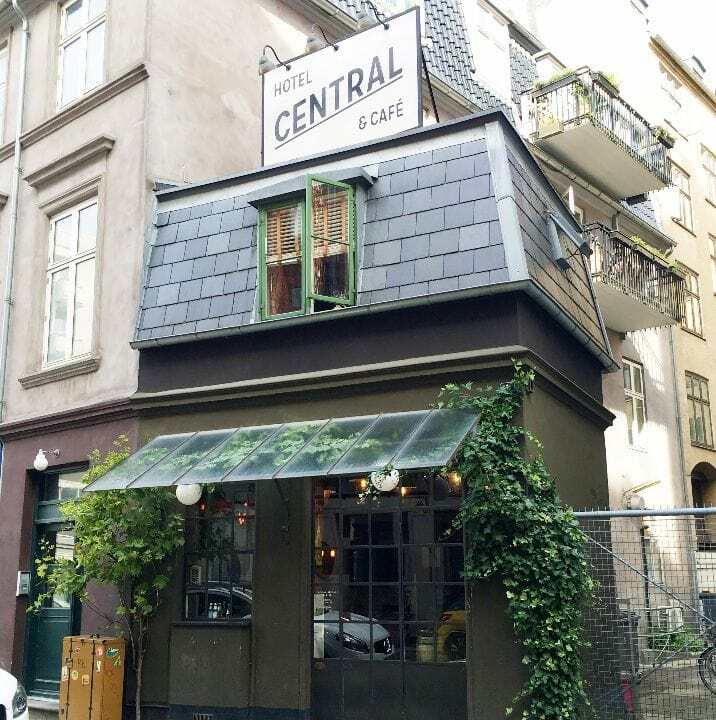 After we left Mariella we took a walk to the Vestebro neighborhood, to check out Central Hotel and Cafe – the world’s smallest hotel, consisting of only one room! 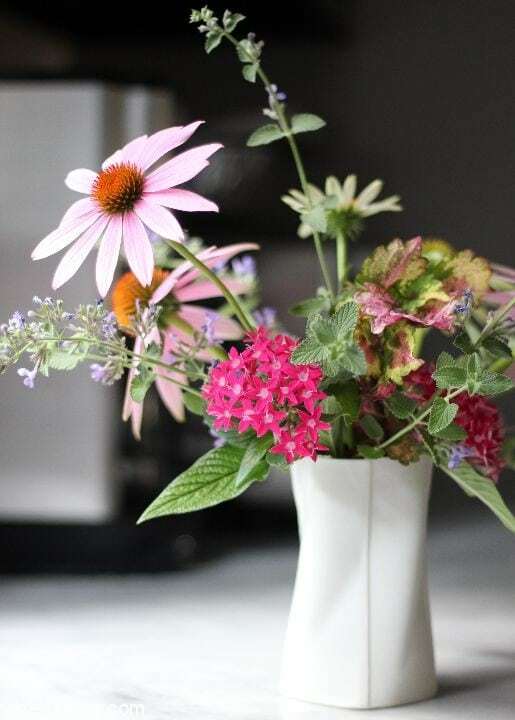 It sits atop an adorable cafe that was unfortunately closed, but you might want to add it to your list – as well as its sister restaurant Granola, which is just up the street. 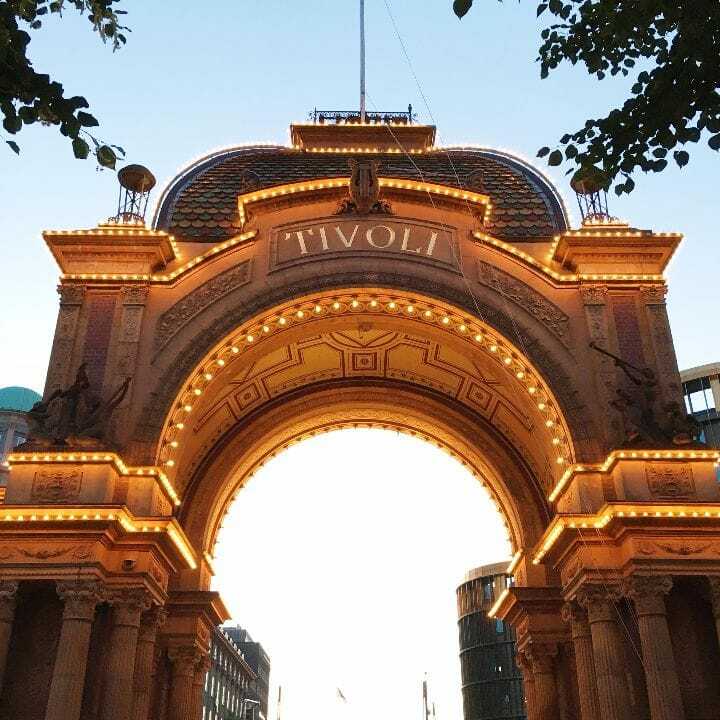 And we finished our (very) long day at Tivoli Gardens – the second oldest amusement park in the world. We went at dusk, and I highly recommend it as the string lights that fill the park make the whole experience feel even more magical. You truly feel like you’re entering another world, and our evening there was one of the most memorable of our trip. I had tracked the weather and was expecting rain, so I kept us close to our hotel, with mostly indoor pursuits. 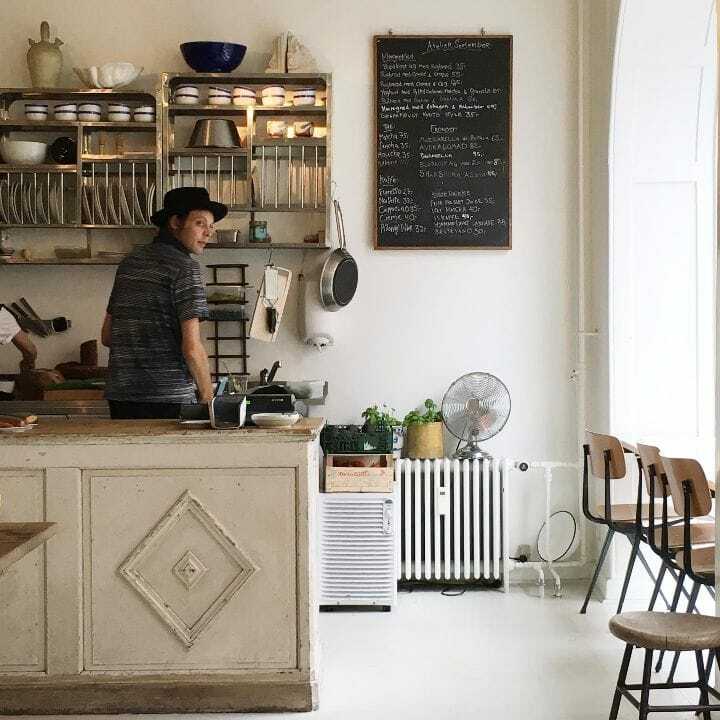 We headed straight to Atelier September, as the cafe is famous for long lines at all times. 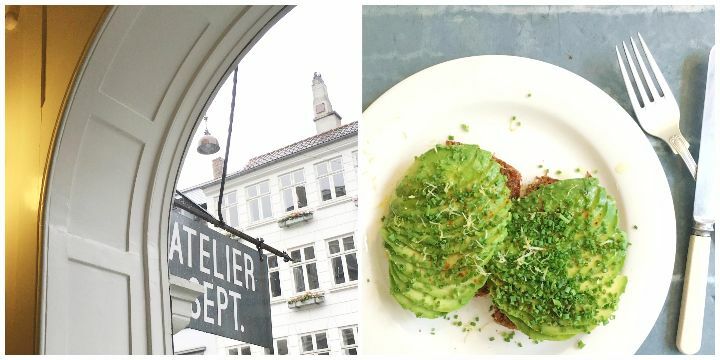 I don’t remember where I read that this cafe is home to “the world’s most Instagrammed avocado toast” – but that’s what I had in my notes so we were not NOT going there. The cafe is small, spare and cozy, and we were lucky to snag a seat right away. And I will say that it was some damn good – and super pretty – avocado toast. Perfectly thin slices of avocado are fanned atop fresh rye bread and topped with a shower of minced chives, fresh lime and green, green olive oil. 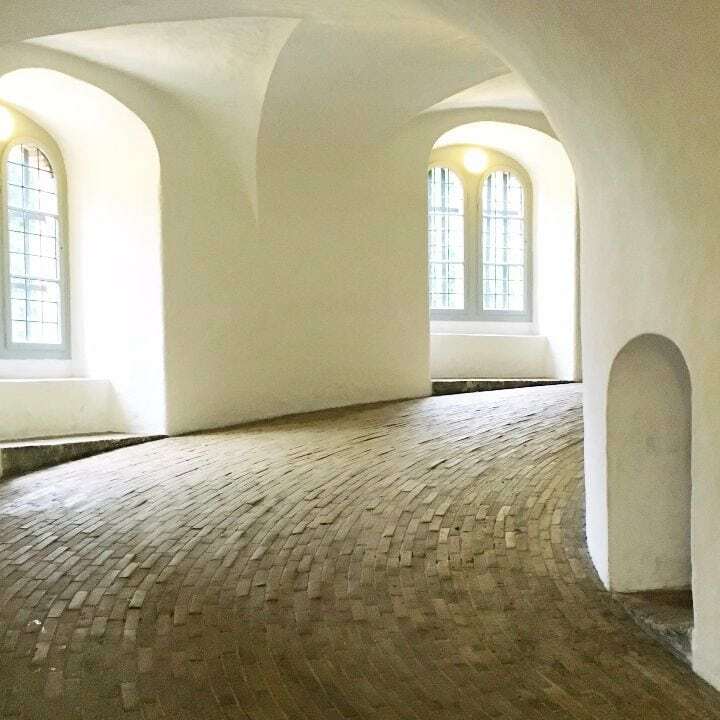 We then explored Rundetaarn (the Round Tower). Built in the 1600’s, it is the oldest functioning observatory in Europe – with killer views of the city. But the getting to the top was half the fun, as you have to walk up a 200+ yards white-washed spiral ramp. We popped into Flying Tiger – there are two branches of this store in New York that I’ve yet to get to, so I was excited. Many floors of colorful, fun, inexpensive toys, home goods, accessories, party supplies – you name it (here’s a funny and on-point article about the chain). And then it was time for lunch – and Royal Smushi Cafe. What’s “smushi”, you ask? Well first you have to know what smorrebrod is…. Smorrebrod comes from the words for “butter” (smor) and “bread” (brod). And at its most basic, that’s what smorrebrod is. A slice of dense, seeded brown bread spread with butter. But it’s most typically served with a variety of toppings – from pickled herring, to roast beef, to blue cheese layered with sliced pears. It’s literally everywhere you go in Copenhagen. 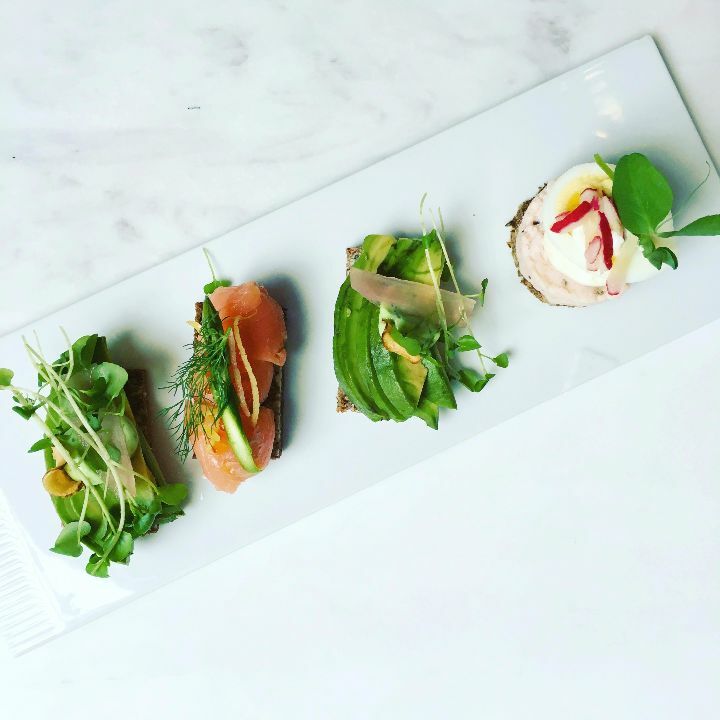 About 10 years ago the founders of Royal Smushi Cafe set out to turn smorrebrod on its head, and took inspiration from Japanese sushi to do so – creating a stripped down presentation of smorrebroad, served in smaller portions so that you can sample a variety of flavors in one sitting. 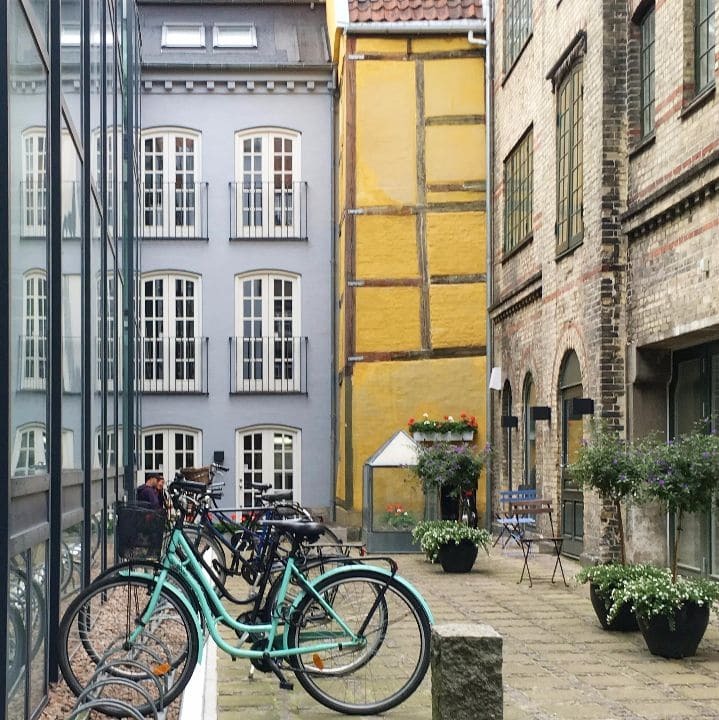 The cafe is charming – you walk through a gate, into a small courtyard and into the cafe itself – where chairs and serving pieces by Arne Jacobsen, Royal Copenhagen and George Jensen are as much a part of the experience as the smushi itself. Which was lovely and delicious and the perfect way to end our trip. Designmuseum Danmark – collections of decorative art, crafts and industrial design from the Western world and Asia, from the late Middle Ages to the present. Paper Island (Papiroen)/Copenhagen Street Food – housed in former industrial halls that were originally used for paper storage (hence the name), this market serves up sustainable street food from all over the world – served from small trucks and containers. 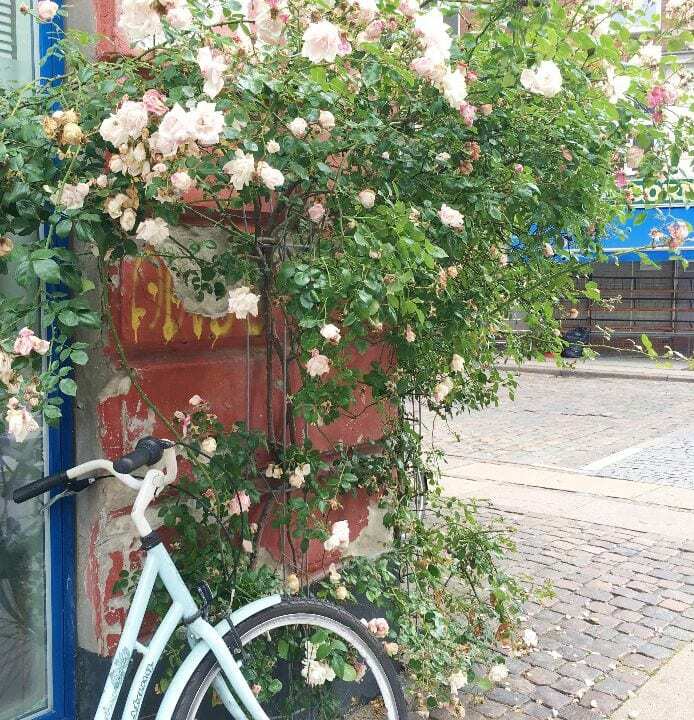 Freetown Christiania – Would have loved to check this out. In 1971 an abandoned military area in the Christianshavn district was taken over by squatters. They claimed the area as a free city, free of taxes and run by their own laws. 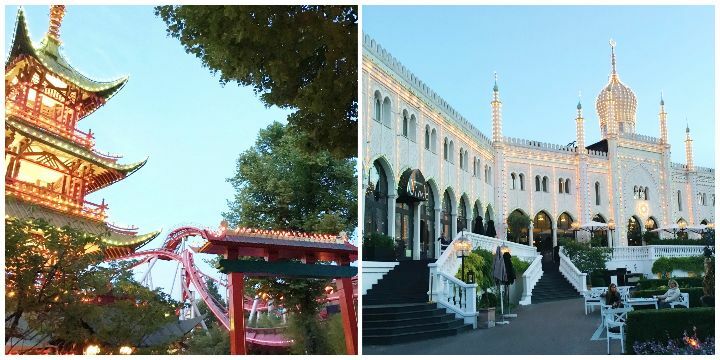 Christiania survives today, and looks to be a real experience to visit – a mix of warehouses, huts and houses, colorful murals and outdoor sculptures, as well as cafés, restaurants and bars. There is no photography allowed. For more information (including important safety tips) read this article. Louisiana Museum of Modern Art – a beautiful modern art museum and exhibition space, about 25 minutes outside the city. Glyptoteket – another beautiful museum – this one right in the city – with two distinct collections showcasing both ancient and modern art. The Winter Garden and cafe look especially lovely. Copenhagen Botanical Garden – also right in the heart of the city, and open to the public. Visit Carlsberg – located in the Old Carlsberg brewery (built in the 1800’s), and offering what seem to be very popular guided tours. Little Mermaid statue – enough said. Hotel Alexandria – we loved our hotel – I’d stay there again in a heartbeat – but this one looked amazing. The lobby and all of the guest rooms are completely furnished in vintage Danish mid-century furniture and accessories. If you’re a fan – or know someone who is – take a look (and consider yourself warned). 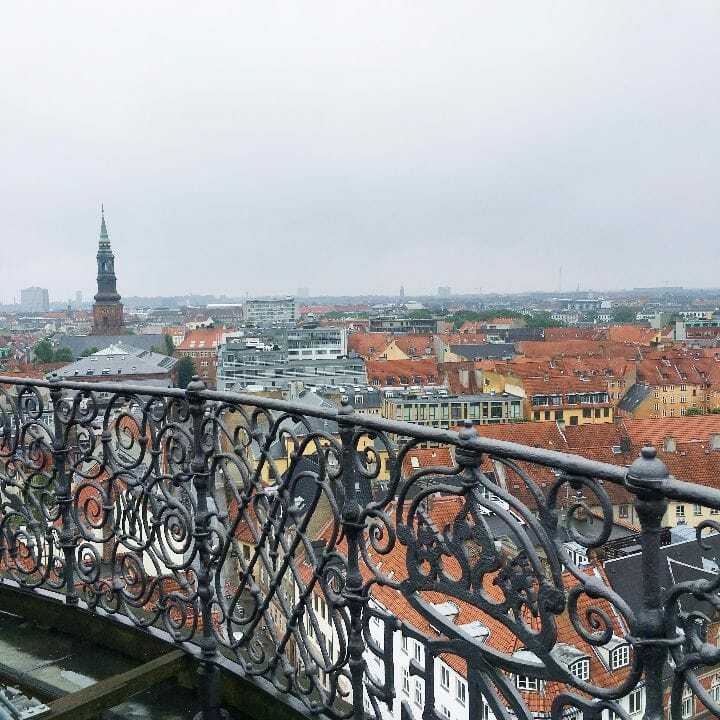 My Copenhagen Pinterest board has more links and suggested itineraries – and let me know if there’s anything I must add!